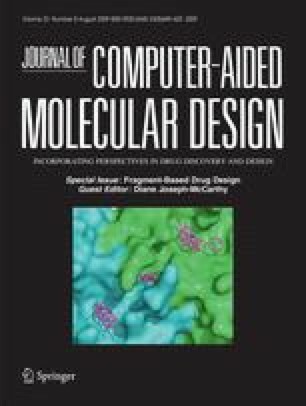 Fragment-based drug discovery approaches allow for a greater coverage of chemical space and generally produce high efficiency ligands. As such, virtual and experimental fragment screening are increasingly being coupled in an effort to identify new leads for specific therapeutic targets. Fragment docking is employed to create target-focussed subset of compounds for testing along side generic fragment libraries. The utility of the program Glide with various scoring schemes for fragment docking is discussed. Fragment docking results for two test cases, prostaglandin D2 synthase and DNA ligase, are presented and compared to experimental screening data. Self-docking, cross-docking, and enrichment studies are performed. For the enrichment runs, experimental data exists indicating that the docking decoys in fact do not inhibit the corresponding enzyme being examined. Results indicate that even for difficult test cases fragment docking can yield enrichments significantly better than random. The online version of this article (doi: 10.1007/s10822-009-9281-4) contains supplementary material, which is available to authorized users. We thank Joann Prescott-Roy, Rutger Folmer, Loredana Spadola, and Peter Kenny for their help in locating and curating data sets and Adam Shapiro for providing experimental data on ligase in advance of publication.